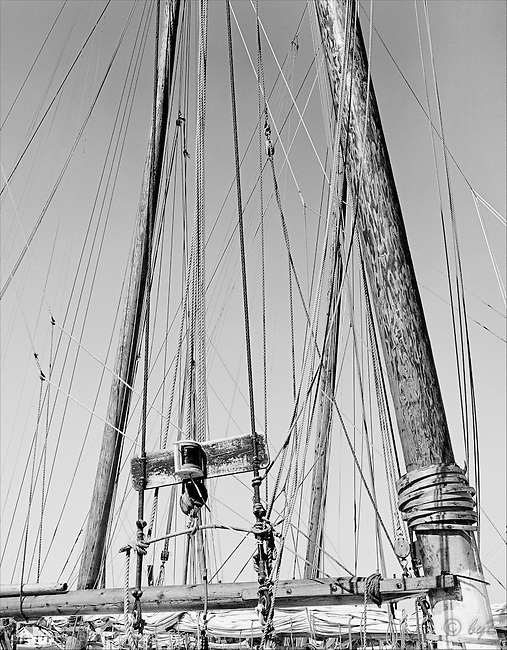 "Rigging" has been a popular choice from the Fine Art, Limited Edition "Skipjack Sunday" collection. Once upon a time there were thousands of these creating a forest of masts in Skipjack harbors. Also available in sepia.